In the age of YouTube, it’s easy to look at a repair or installation project, watch a five minute YouTube video and say, “Hey, I can do that!” If you can, that’s great. But there’s a reason why most project hacks turn out to be project fails. That video that made it look so easy didn’t show everything. When it comes to business systems, the risks are higher when your shortcut becomes a fail. Especially when you’re dealing with your phone system. If you make a mistake when working with electricity, hardware, and wireless software, you could hurt yourself or your IT system. Consider these five things before you forgo hiring a telecommunications contractor. First you should consider your own safety. Just because most phone systems are low voltage doesn’t mean they can’t be dangerous to work with. Many people mistake low voltage for not dangerous at a high risk to themselves. A telecommunications contractor who’s worked in the field can tell you some stories about someone he knows or himself facing the hospital when he made a mistake working with low voltage communication systems. While a low voltage shock most likely won’t kill you, it could have serious long term effects including chronic pain, numbness, and anxiety. Telecommunications contractors know how to work safely around low voltage electricity. They know what to do in the event of a serious shock and how to avoid it in the first place. Go with safety first and choose a telecommunications contractor. Most commercial buildings have high-tech alarm systems that may also be connected to a phone system. For example, an alarm could go off in one sector, immediately prompting an automated phone call to alert the building owner. 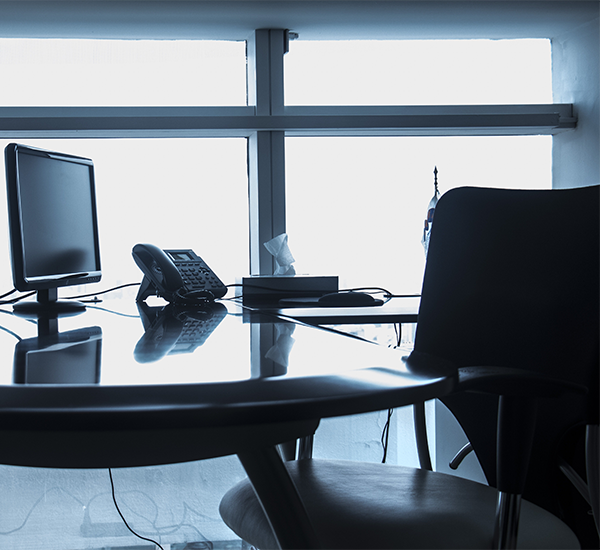 As communications systems become more complicated, a phone system isn’t just a phone system. Modern phone systems can be tied into the internet, alarm systems, and even surveillance systems. A licensed telecommunications contractor knows how to integrate the phone system seamlessly into these other systems. Excellent systems integration can make all of your communication systems better. But, if you aren’t educated in your commercial business systems, or don’t quite understand how your particular systems are integrated, you could risk breaking all of your systems. Instead of ending the day with a new phone system, you could end the day with a broken security system. An experience telecommunications contractor isn’t just bringing his license to the table. He’s also bringing the years of experience that he has under his belt. Even if you are a licensed electrician, a telecommunications contractor knows phone systems inside and out. He’s seen all the ways phone installation can go wrong, knows how to fix it, and knows how to prevent it from happening again. Telecommunications contractors with experience know the best way to coax the best quality out of their systems. Whether that means matching all hardware to the same brand, which type of software to use, or just how two different brands of hardware interact with each other, the experience of your telecommunications contractor cannot be underestimated. Working with an established telecommunications contractor means that you’re not only getting a great contractor, but you’re getting his entire network along with him. He or she may know the cheapest vendor for certain parts. Your contractor could also have an ongoing relationship with a particular brand that gives him early access to cutting-edge technology. Don’t underestimate the power of your telecommunications contractor’s network. It’ll give you access to a whole team that you wouldn’t have had had you attempted to do it yourself. So after watching your five minute YouTube video you decide to go ahead and install your business’s phone system by yourself. However, you misunderstood just how much your office communication systems were integrated. Now you find yourself attempting to install the phone system and fix your surveillance system. Or in a different scenario you picked up the cheapest hardware to save money but got all different brands. Now you’ve come to find that the brand actually does make a difference (no matter what that guy on YouTube said) and your hardware won’t connect as tightly as you’d wish. You struck out on this journey to save money. You figured that by doing it yourself you could buy the parts you wanted and save on labor. But now you find yourself spending more money fixing several different systems, with a pile of parts that you spent money on but can’t use. Working with a telecommunications contractor may be more expensive up front, but it can have some benefits in terms of saving costs. You know the job will get done right the first time, saving you time and money. After all, the sooner your phones are up and running the faster you’ll get business in. You may even be able to save money on parts based on some connections your telecommunications contractor has with his vendors. On top of that, you won’t have to replace the system for several years and you won’t have to hire anyone to patch up the mistakes you made when you installed it. Medlin Communications knows low voltage systems. We know systems integration. We know businesses of all sizes. Medlin Communications is here to help when you need it. Our experienced, licensed, and qualified telecommunications contractors have more than 100 years’ combined experience in the telecommunications industry and have served over 3,000 customers nationwide. If you need a telecommunications contractor, get in touch with Medlin today.